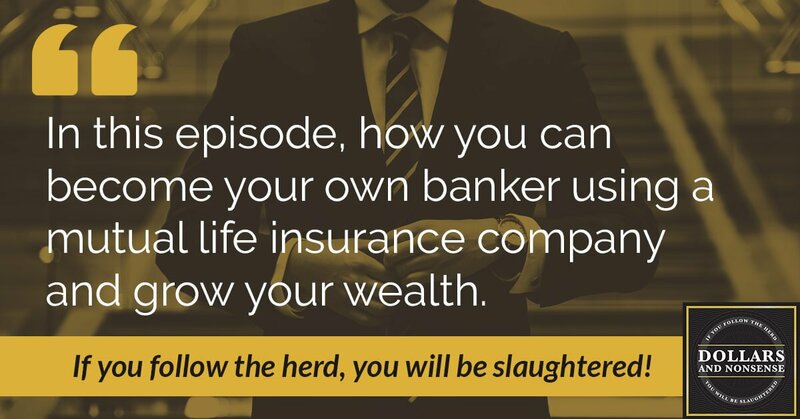 In this episode, we will discuss the importance of working with a mutual life insurance company, and how to start thinking like an owner instead of a depositor. 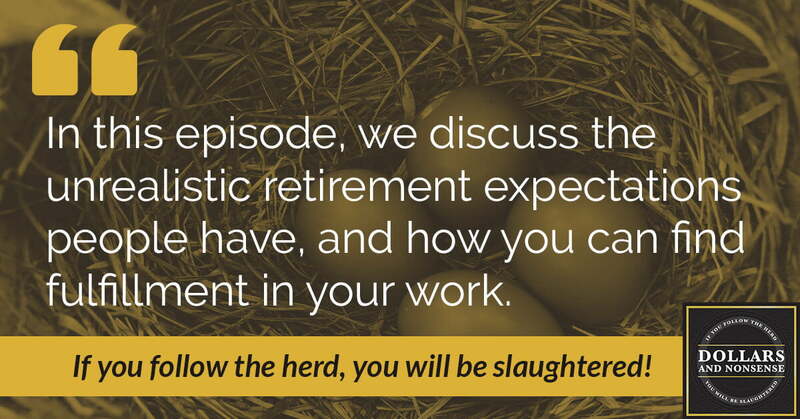 We discuss the unrealistic retirement expectations people have, and how you can find fulfillment in your work instead of merely working for a paycheck. Today we’re talking about a topic that either you like talking about or you avoid talking about, depending on your personality. That topic is retirement. It can be exciting, it can be scary, it can be nerve-racking, but it just depends on how well you’ve prepared and your relationship with money and work, to begin with. We’ll uncover some of the things we found that make retirement expectations dangerous. The trueth: Most retirement plans are under by about 20% of what people actually need. Change your own mentality into being a servant at work–serve your clientele and put your heart in–you will change your attitude on money and on work. The best way to protect yourself financially is to never stop producing value. 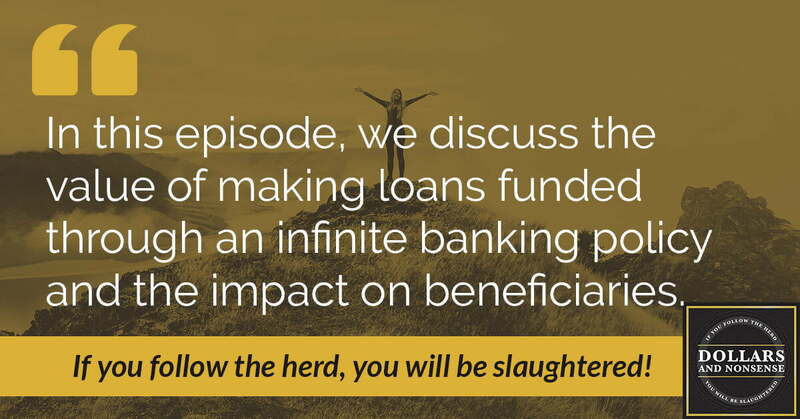 In this episode, we discuss the value of making loans funded through an infinite banking policy. We also share the way loans affect infinite banking policies and the real way you should think about the structure. 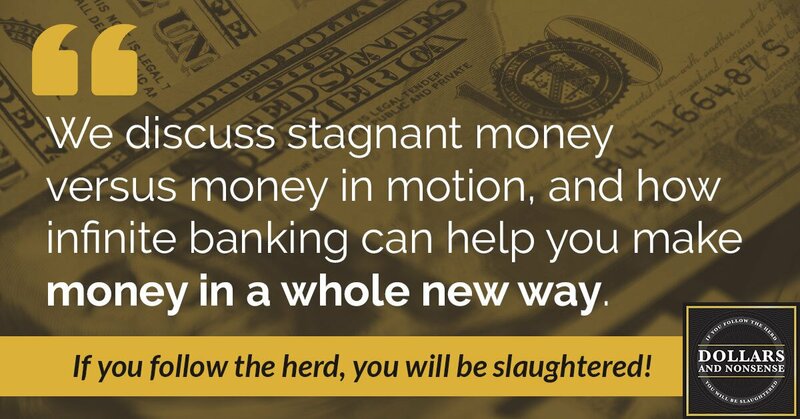 In this episode, we discuss stagnant money versus money in motion, and how infinite banking can help you make money in a whole new way. 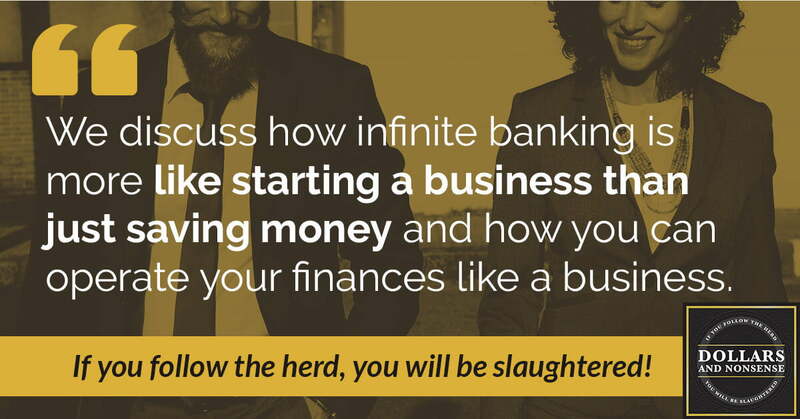 We discuss how infinite banking is more like starting a business than just saving money and how you can operate your finances like a business. Ray Poteet joins us to share the money mistakes that he’s made over the past 50 years to help you avoid the same pitfalls. 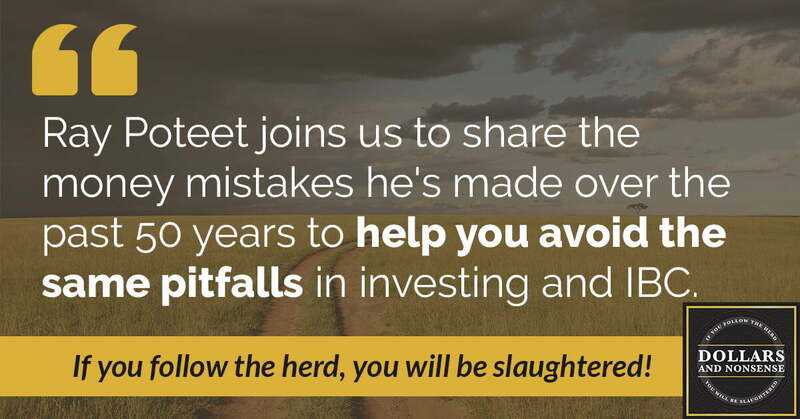 These are lessons from both in the investment world, as well as the errors he made while initially practicing Infinite Banking. Ray Poteet joins us to share strategies and tactics for building and leaving a legacy of wealth. 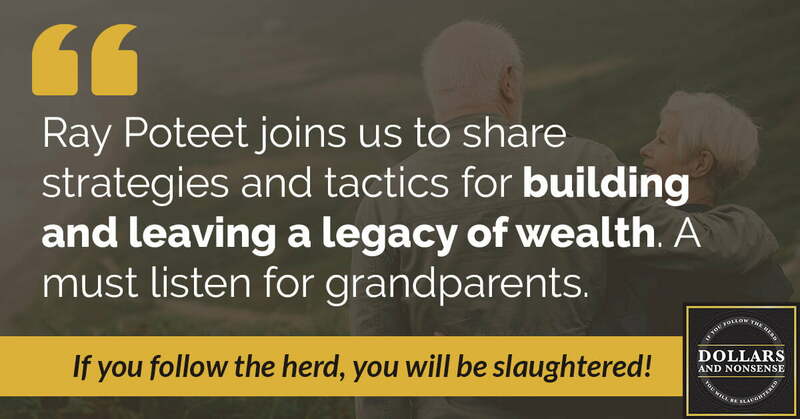 A must listen for any parents, grandparents, and expecting grandparents who are wanting to build and leave wealth. In this episode, we discuss how to best position yourself to make it through the unexpected catastrophes of life, both big and small. 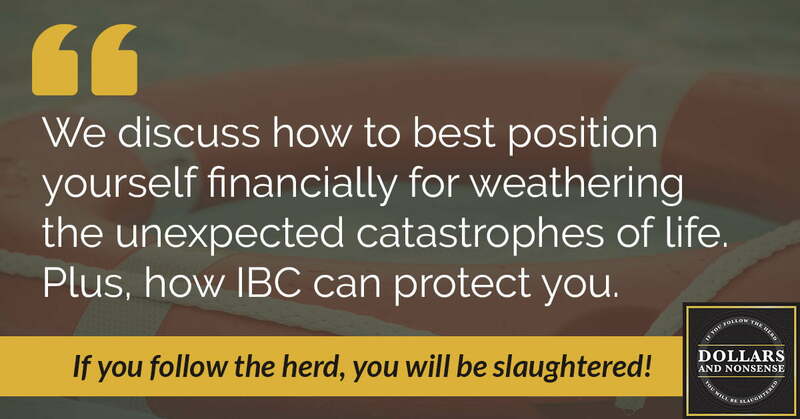 Plus, we’ll share how infinite banking can be a great foundation to have in place when the unexpected hits. In this episode, we discuss two end of the year tax strategy misconceptions that you should avoid. 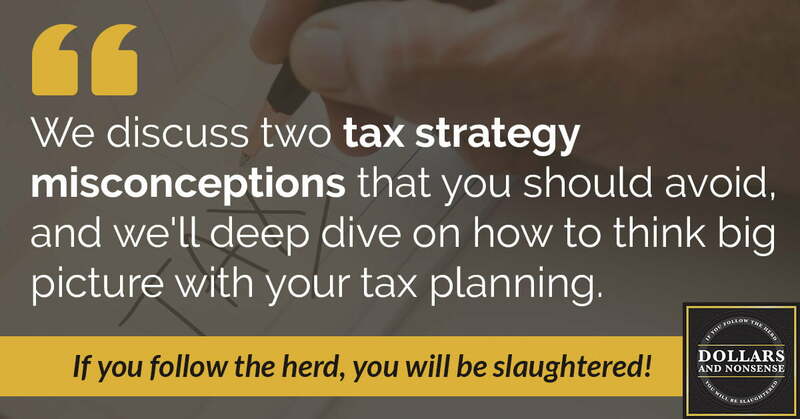 We’ll also deep dive on how to think big picture when you’re making your tax plan. 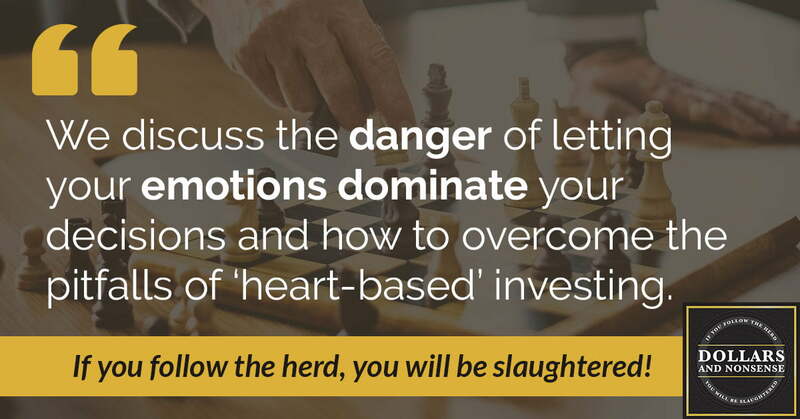 We discuss the danger of letting your emotions dominate your decisions. We also share how you can learn to start with your head, not with your heart.